Dr. Goce Andrevski’s research interests include the dynamics of competitive interactions, inter-organizational alliance networks, and organizational diversity management. He has published in leading academic journals such as Information Systems Research, Journal of Management and Strategic Organization. His research has received 2011 Dorothy Harlow Best Paper Award (Academy of Management), 2010 Best Published Paper Award (Information Systems Research) and 2009 Best Doctoral Student Paper Award (Academy of Management). 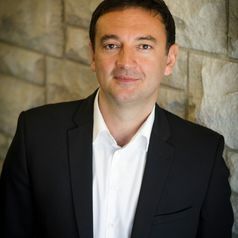 Goce Andrevski is an Associate Professor of Strategy at the Smith School of Business, Queen's University. He teaches Business and Corporate Strategy at the undergraduate, MBA and graduate level.